Connecting the people who build the world. Don't miss out on 2018's most influential construction conference. Building Design+Construction has teamed up with 30+ leading AEC women professionals to bring you compelling content on tough issues women face in this fast-paced and highly competitive industry. Join your peers for 2 days of insight, innovation and bonding! This BY-INVITATION only event is exclusive to WCOE members and their guests. Space is limited. The main conference begins Friday with the Opening Reception, followed by Saturday and Sunday conference sessions. Conference registration is $125.00. Registration is limited, so please register soon. Plan to join us in September for our annual fundraiser celebrating women in the trades. 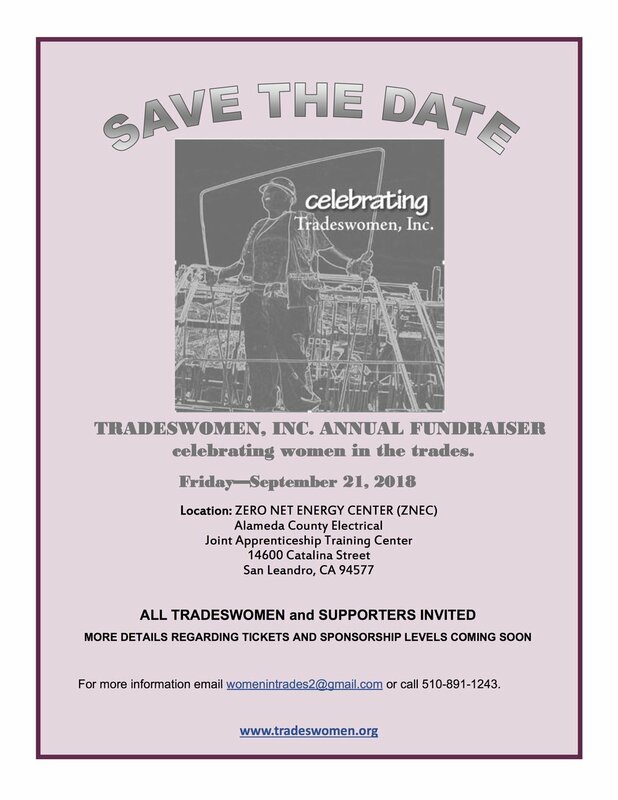 Tradeswomen Inc. welcomes women from all over the Bay Area to attend these workshops. 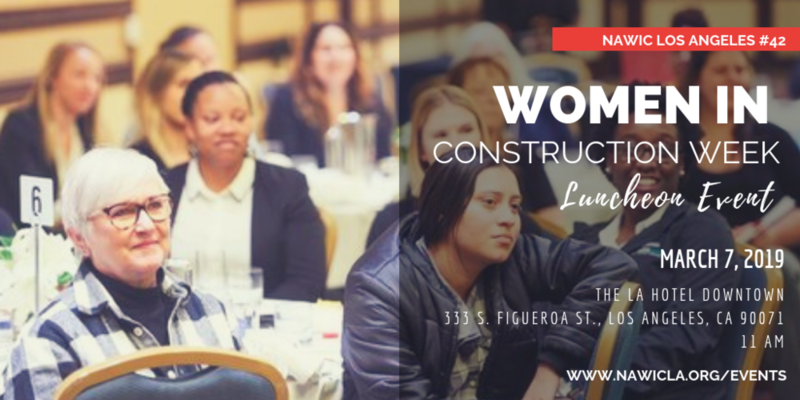 Join us for an experiential workshop and panel discussion for women in the construction industry. 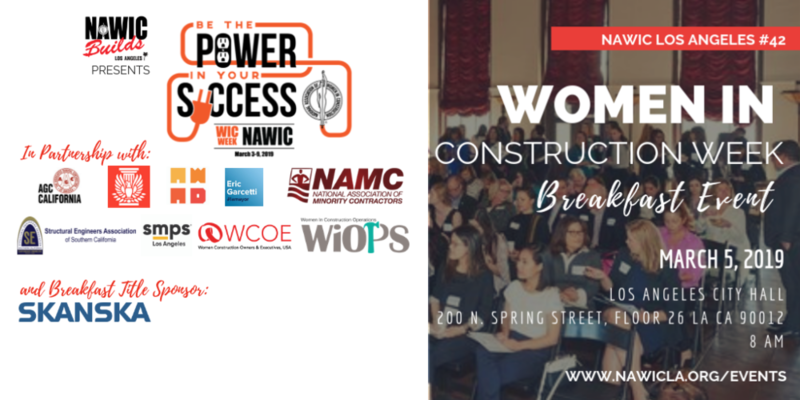 The panel discussion, featuring leaders in the construction industry, owners of small companies, and women in roles of influence in the industry share their experiences and expertise on key communication skills for influencing, negotiating, and leading. Sue began her career in construction over three decades ago. She has worked in the civil, heavy highway, oil & gas, power, and mining markets. Sue has “been there, done that”. She was the West Coast Business Director for a large international contractor and was responsible for strategic planning, talent management, financial projections and corporate reporting, financial and project controls, change management, regulatory compliance, and labor relations. 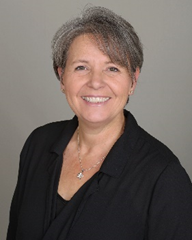 Sue’s thirty-plus years in the construction industry, her continued service to industry committees, and her expertise in talent management has given her the tools to deeply understand the needs of contractors, and the experience to teach organizations strategies and initiatives for optimum growth, team building, performance, communication, and profit opportunities. Members can join in person at Gordon & Rees LLP’s Los Angeles office or in Sacramento at CE Green’s office. You MUST RSVP to attend. Guests can be invited by members. RSVP – LA: Brenda Radmacher (bradmacher@grsm.com); Sacramento: Carole Green (carole@cegreeninc.com). 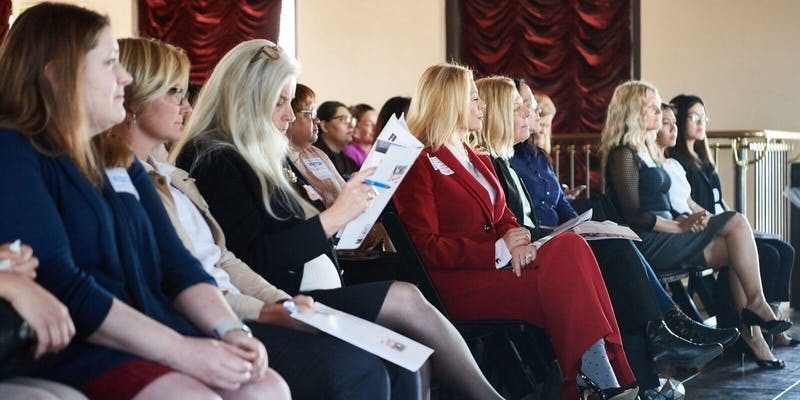 ChallengeHER works specifically with the Women-Owned Small Business (WOSB) federal contracting program as a tool to help leverage federal awards, learn the federal procurement process, and to connect with the right people. The CA Black Chamber of Commerce (CBCC) is a non-profit organization dedicated to economic empowerment. CBCC engages in every issue in legislation that affects business practice in California; ballot measures, acquisitions, mergers, and deregulations. To that end, we have been producing business and community events for more than 20 years. CBCC staff has gone to exceptional lengths to ensure that each event is a meaningful experience for all participants and guests. We strongly encourage your participation in our events and follow up activities including surveys and social media interactions. Ignite 2018 is the culmination of our efforts to educate the construction industry on the important regulations that affect your company. We seek to instill in each of our attendees drive and passion to work toward something more for all of our communities. We want to show the positive effects that labor and workforce laws have on communities and disadvantaged workers. Please join us as we explore basics, best practices, advanced reporting and changes that are on the horizon. How does the tax reform legislation passed in December affect private sector businesses? CLA professionals Leslie Boyd and Kevin Cox will break down the new legislation and discuss how it could affect you and your business. This session is designed for financial managers, controllers, CFOs, executive management, and others responsible for the tax compliance and planning in your business. Please register by Thursday January 25, 2018. 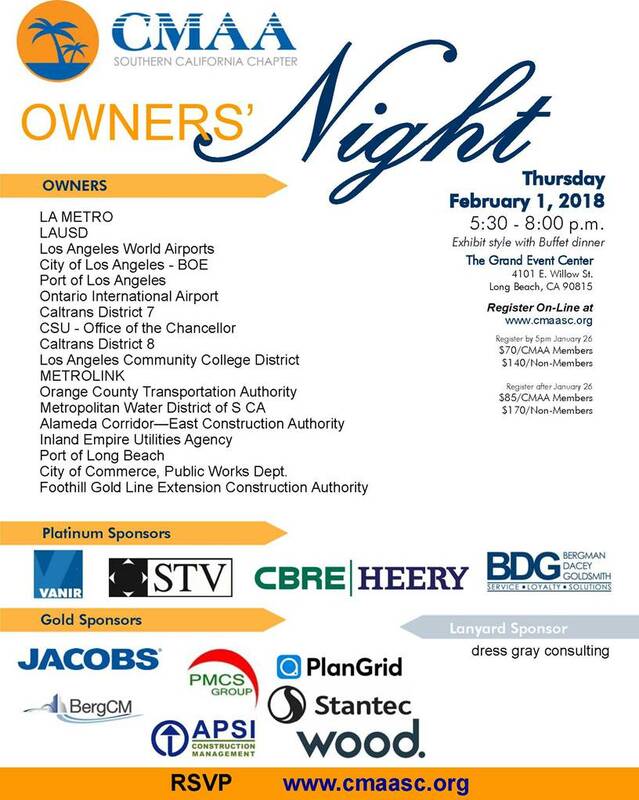 Please join us for an evening of Networking, Food, Drinks, and Live Music! 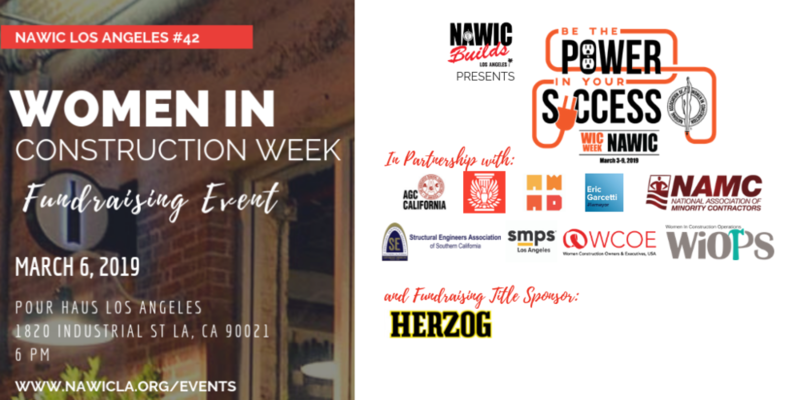 ALL ARE WELCOME We invite women and men in construction, architecture and engineering professions to join us for a special evening celebrating the launch of WiOPS Northern California Chapter. Meet our leadership in Southern and Northern California and learn how WiOPS can boost workplace development and diversity, as well as improve your company’s bottom line by providing mentorship and support for women in the field construction. The Construction SuperConference, now in its 32nd year, is recognized as the preeminent construction conference developed for mid- to senior-level professionals who work in any of the legal and commercial construction markets. The IRMI Construction Risk Conference (CRC) brings nearly 2,000 leading project owners, general contractors, subcontractors, developers, insurers, and insurance agents and brokers together to explore and convey state-of-the-art ideas and techniques for improving insurance coverages, controlling insurance costs, and fine-tuning risk management programs. 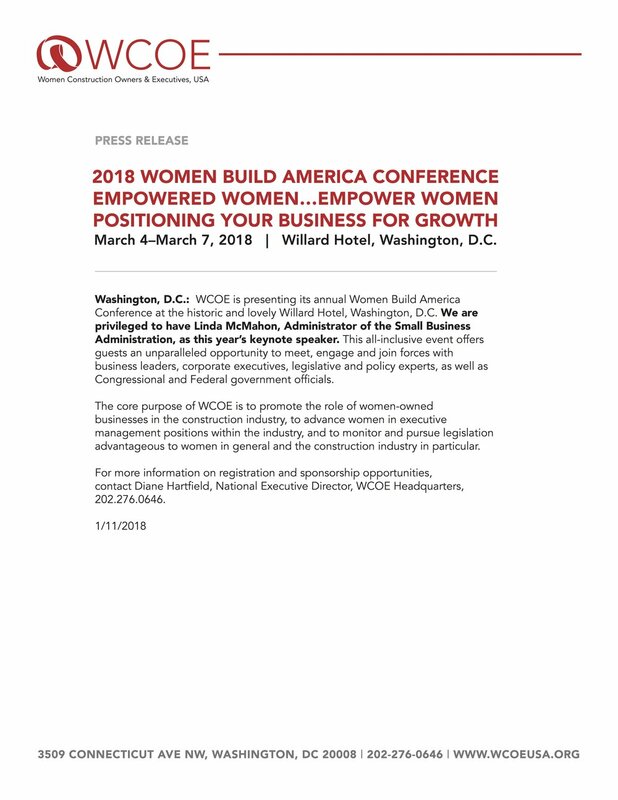 The WCOE – West Coast Leadership Conference is uniquely designed for women business owners and executive leaders’ positions within the construction industry. It provides a forum for women to learn, network, and share ideas.